You can trust it a little, but only, as admitted, a little. Log in to read the rest. Not yet a subscriber? Join us now, and become a part of the conversation. Gordon Lish’s last book was Cess (OR) and his second book is White Plains (Little Island). 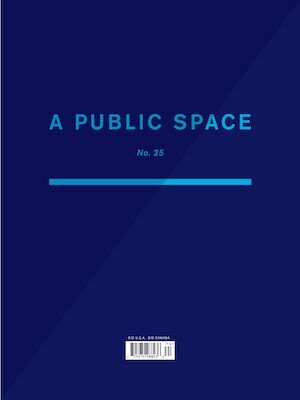 A one-year subscription to A Public Space includes three issues of the magazine as well as access to the online archive and membership in a dynamic community of readers and writers. Not a subscriber? Subscribe today.